Having this problem with snow mod, anyone else? My freeway is mod free and I think it is to do with the mod itself.. The fault lies with the snow mod I believe, had the same happen to me once already but it quickly went away. 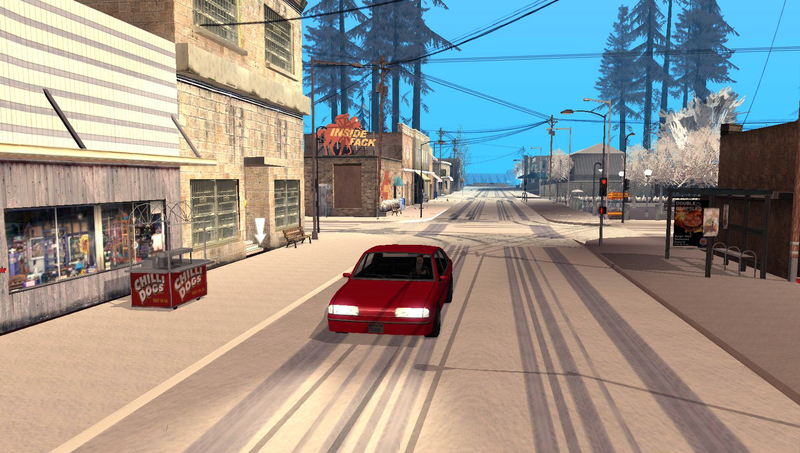 If you're still experiencing this then perhaps you should try alternative snow mods. I've found it only permits on certain weathers anyway so its a low chance of happening. Winter is coming. And that means that cold temperatures, snow, ice, long nights and all that are coming too. And just like every year, we're going to roleplay those effects globally - and what does that mean? 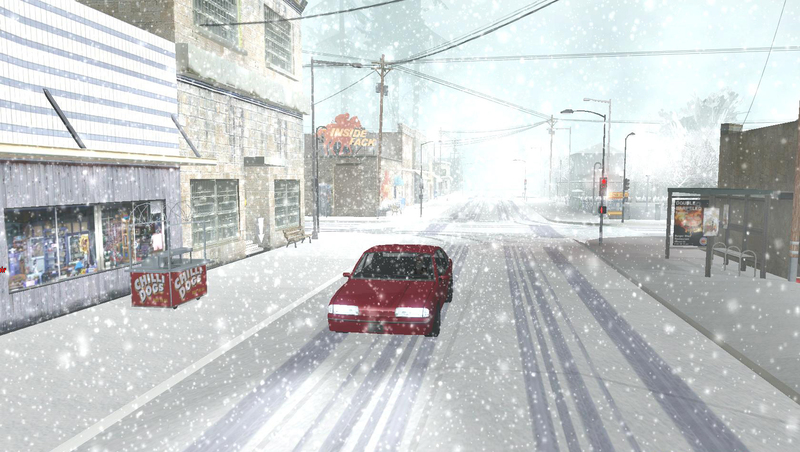 In short, it means that the administrators will announce how the weather conditions look like, and all the online players will have to roleplay accordingly. For example, if we say that it's snowing heavily - you won't be able to fly helicopters or drive as fast as you normally would. Everything will be announced via in-game asays by administrators, so make sure to pay attention to the chat! Except for asays, a /snowlevel command has been implemented, which can be used by any player at any time to check the current level. The current snow level will also be included in the player MOTD (Message Of The Day), so pay attention to it while logging in. You can also see the MOTD on the RC:RP Homepage. The /snowlevel info and the MOTD will be updated by administrators along with weather-changing asays. Please note that with the implementation of /snowlevel, the current level will no longer be updated in the title of this thread, as it used to be in previous years. The amount of snow will be based on the SnowFX modification, which you're all encouraged to install (although it's not mandatory). There's five levels of snow, from 0 to 4 - each of them describing a different amount of snow falling from the sky / lying on the ground (they're described thoroughly below). 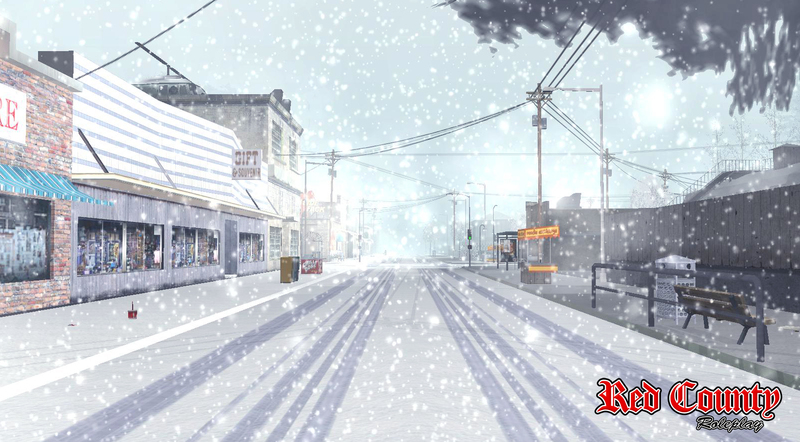 You will be required to roleplay the snow and the effects accordingly. Like it was said earlier, administrators will make announcements throughout the day with notifications on the current level of snow, using the levels applied in the SnowFX modification. 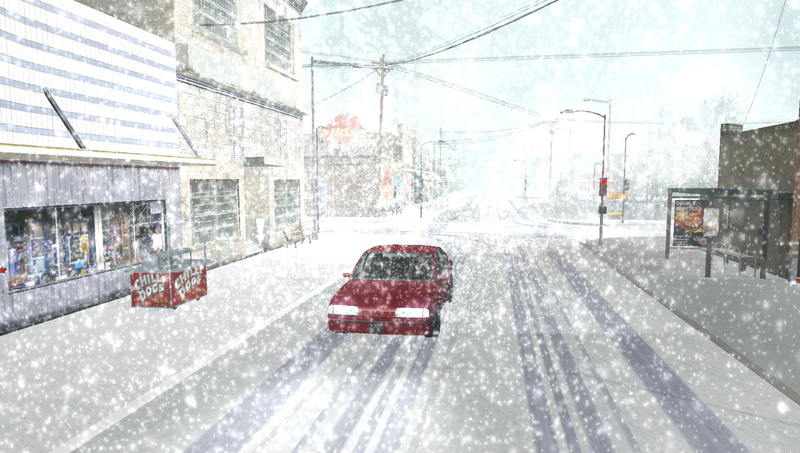 There's also the SnowAndreas mod, which will replace all the textures from the core game to winter textures - basically adding snow everywhere. It is also not mandatory, but we encourage you to use it aswell, as it greatly increases the immersion. You may go maximum of 80mph. Off-roading is allowed when going slow (max 30mph; this includes dirt roads). You're allowed to operate aircraft and drive motorcycles. You may go maximum of 65mph. Off-roading is allowed when going really slow (max 15mph; this includes dirt roads). You're allowed to operate aircraft and drive motorcycles. Roads are quite full of snow, snow plows are required for them to be passable. Lots of snow falling from the sky. Visibillity reduced to approx. 100-150 meters. You may go maximum of 45mph. You may not drive on dirt roads and off-roading is not allowed, with the exception of 4x4 vehicles capable of heavy offroad. You're not allowed to operate an aircraft and drive motorcycles with the exception of the quad (which you may roleplay as a snowmobile). You may go maximum of 20-30mph. You may not drive on dirt roads. Off-roading is not allowed. You're not allowed to operate an aircraft and drive motorcycles with the exception of the quad. One of our community members, OutWorld, has created a great tutorial for downloading and installing the snow textures mod and SnowFX mod, here's a link to it: https://redcountyrp.com/forum/viewtopic.php?f=4&t=111083. I'm under the assumption winter RP ends January 1st? It'll end whenever people grow bored/tired of it most likely. Last year it was around the end of December so yeah, I think we ended it on the 1st of January. I'm all up for extending the time though, if people will still want to roleplay it by then. IMO it should extend for at least two months so people can develop fully of RP. As much as winter roleplay is great year-end event, people do get bored of it rather quickly. Most complaints surround on the restrictions that it produce (driving limitations and speed limits, for example). If there was no restrictions, it would not be boring, but it does not portray winter at all.